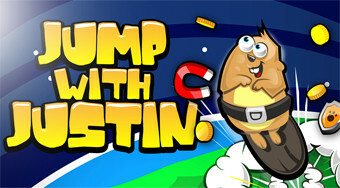 Do you like Jump with Justin? Share it with your friends. Shoot the beaver from the sling to collect gold coins, avoid obstacles and fly as high as possible.